Copyright (C) 2016, Homebrew, Inc.
PNG of box front & back with original artwork. "D2K ARCADE MUST BE SEEN TO BE BELIEVED. This dream-of-a-homebrew is a must-have for all classic gaming enthusiasts." "YES, THAT'S RIGHT, COLECOVISION AND NES OWNERS, your versions of the game…now take a back seat to this classy new cartridge…"
"D2K LOOKS, PLAYS, AND SOUNDS GREAT. I'm really impressed with the kind of quality they can squeeze out of an Intellivision cartridge!" THE FOUNDRY …Jump over flaming pits, ride moving steel beams, and dodge shooting fireballs! THE INCINERATOR …Multiple conveyors deliver trash to a burning pit. If you stop moving you'll be headed down there too! BARRELS …DK's tantrum has crushed and warped five levels of girders, turning them into a nightmare of ramps and rolling barrels! Jump for your life or grab a hammer and start smashing! PIE FACTORY …Treacherous conveyors, leaping flames, and "pies" that look almost good enough to eat… but don't be fooled! These trays of cement are massively dangerous! ELEVATORS …Two fast-moving columns of elevators and some nasty fireballs await you. Take the easy way out but be wary of the springs. RIVETS …Your only chance to reunite yourself with your loved one! Dismantle the structure by pulling out the support rivets and give the big ape a concussion he won't soon forget! TWISTED GIRDERS …DK has "twisted" five more levels of girders! Barrels bounce high and come at you from both directions while flames rain down on you from above! THE MIXER …A mixer tops off empty "pie" plates while full ones twirl down from the sky! Master the timing of the stopping conveyor or risk an embarrassing tumble into a tray full of cement! THE REFINERY …Oil, gas, and an array of safety valves… this level has "danger" written all over it! Outwit DK by putting out fires at the top of both towers… before the timer runs out! TRIPLE ELEVATORS… Three elevator columns separate you from narrow structures guarded by merciless fireballs! Span treacherous gaps while dodging a barrage of madly bouncing springs! THE ELIMINATOR …Only appearing on level 3, this is DK's final attempt to "eliminate" you. Don't be afraid of the blue fire… it won't hurt you - unlike everything else! Select from 3 playable characters – Mario, Bruno, or Toni – each with different strengths and weaknesses! Silky smooth motion and crisp controls… Arcade-action on the Intellivision has never been this good! Never before heard digital samples: Hear two distinct "growls", the girl cry for "HELP! "… and more! Never before heard musical scores: Title, Game Over, and an alternate "victory" melody! Arcade-quality enemy AI and timing… even "control" the barrels, Steve Wiebe-style, just like in King of Kong! Two game variations, "classic" and "sequel", each with their own high-score! The ROM is for your personal use only. It is not to be distributed or sold to others under any circumstances. The ROM requires your LTO Flash! to function, using the DRUID supplied at time of purchase; therefore it will not function under emulation or someone else's LTO Flash!. Make a donation of at least $20 using the donate button on the right. Email carljr17@hotmail.com to let me know you want the special edition ROM and supply the first five characters of your LTO Flash! 's DRUID (unique ID that can be found in the LTO Flash! 's GUI or menu). I will send the encrypted ROM to you, and all associated PDFs and images as listed above, to the email address you use to notify me. PLEASE ALLOW 48 HOURS FOR DELIVERY TO YOUR E-MAIL ADDRESS! 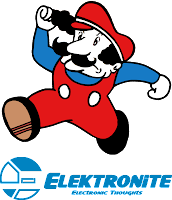 Intellivision and the Running Man logo are registered trademarks ® of Intellivision Productions, Inc.
Wow that would be great party. i love get together with friends and family it greats time we pass with them. Shop Amazon by clicking below. Costs you nothing but helps me out!